This year my daughter turns 18 and we are travelling around Italy before she goes to university. A coeliac since childhood, she has to avoid gluten. 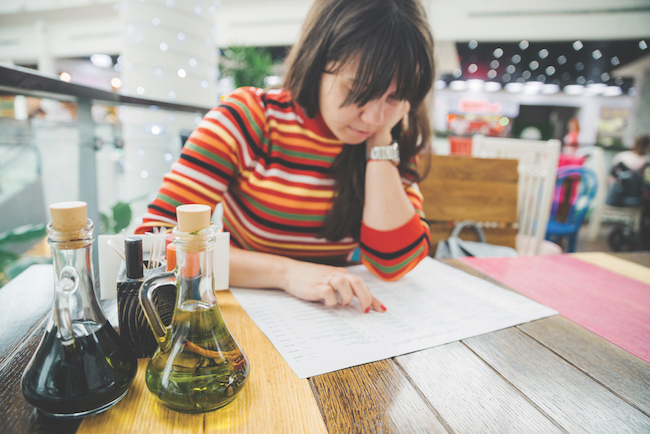 How easy is it to find gluten-free foods in Italy, especially when eating out? How would you go about organising a bespoke itinerary for a small group of old friends who want to celebrate in Tuscany, and what can you offer? The most important thing for us to do is to listen to what the customer is looking for and to ask them questions and then to use our knowledge and make suggestions. 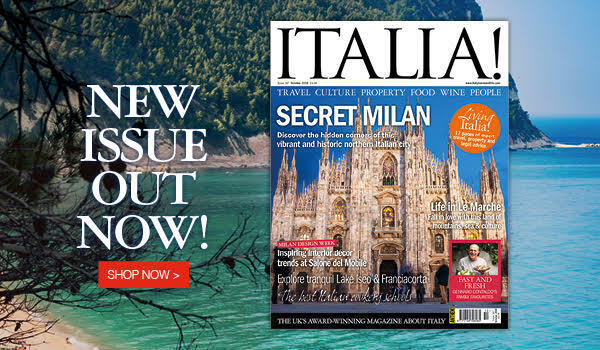 Tuscan Secrets is the UK’s leading tour operator for Tuscany and the Tuscan island of Elba. Most independent travel agents in Britain refer to us to create bespoke itineraries for their customers. We spend a great deal of time in Tuscany, where we work very closely with the regional tourist board for Tuscany. Not only do we inspect the hotels we offer but, just as importantly, we check out the experiences. Most people visiting Tuscany are looking for more than a beach holiday, they are looking for an experience. This may be a cookery lesson, wine tasting, truffle hunting, cycling, horse riding in the marshes or through the woods and the list goes on. Just as we work closely with the regional tourist office, we use our regular guides and drivers, who all speak excellent English and can take our customers to the hidden nooks and crannies of the region on personalized guided tours. We also work with four different local agents. Each is based locally and has their own specialities. For example, we are the only major British tour operator to offer winter sports in Tuscany. Few people in Britain are aware of the benefits of Abetone as a winter sports destination. We have very close relationships with the suppliers of the experiences we offer, so we can talk with total confidence when speaking with our customers. Many of our travel agents ask us to speak directly to their customers so that we can really understand what they are looking for. It is vital to us that our customers have the most wonderful experience. We want them to fall in love with the region and to want to come again. We have taken many travel agents to Tuscany for educational visits. Our objective is always to show them the diversity of the region and, rather than looking at lots of hotels, we prefer to share the experiences that Tuscany can offer, from dolphin watching with marine biologists to hiking. Food and wine tend to be important experiences that many of our customers are looking for and we have very close relationships with many vineyards, from Chianti to Brunello to the Super Tuscans, as well as small, local farms who welcome our customers like they are long-lost family. 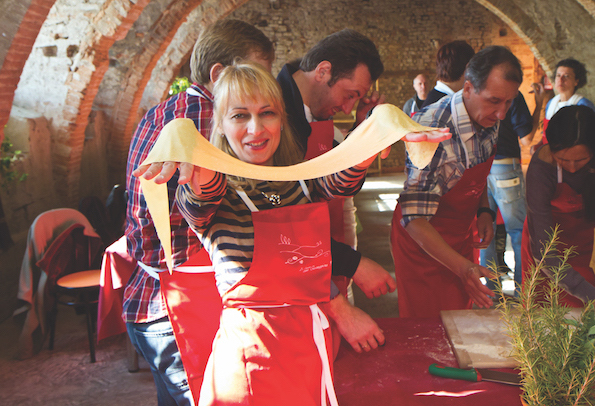 We can offer cookery lessons, which are usually accompanied by several glasses of wine, in Lucca and in the country. What better experience for a group of friends to share and which they will remember when they return home! Our small-group escorted tours also provide an excellent opportunity for couples, groups of friends and solo travellers to enjoy the experiences of Tuscany, from visiting gardens to food and wine or visiting the marble quarries of Carrara in Land Rovers. Do you still need to obtain a work visa if you are running your own business in Italy? We hope to one day run a B&B business from Puglia. How would we go about this? Citizens of EU member states are entitled to set up a business in Italy in the same way as Italians do. The same principle applies to EU companies. Individuals who are not nationals of a European country or are not resident in Italy or in the European Union can generally set up a company in Italy if an Italian citizen would be entitled to set up a company in their country of nationality. Generally speaking, if an Italian citizen is subject to limitations or restrictions to invest in a foreign country, citizens of that foreign country will be subject to the same limitations in Italy. This principle is called reciprocità and the relevant information can be obtained from the database of the Ministry of Foreign Affairs. This check is unnecessary if the foreign citizen is a member of the European Union or if he/she holds a valid permit to stay in Italy. The requirements to obtain this permit include the submission of evidence that the individual in question has the required qualifications, that he/she has sufficient resources to set up and support the business and that there are no obstacles or restrictions to the issue of the permit and relevant licences. The most common forms of business vehicles used for big-medium size businesses in Italy are private limited companies (società a responsabilità limitata (Srl) or public limited companies (società per azioni) (SpA). The advantage of both these structures is that if the company goes bankrupt the shareholders will only lose the money they paid for their shares. Alternative simpler business structures are società di persone (partnership) or ditta individuale (sole trader), when the only investor is the owner of the business. B&B businesses are generally run as partnerships.